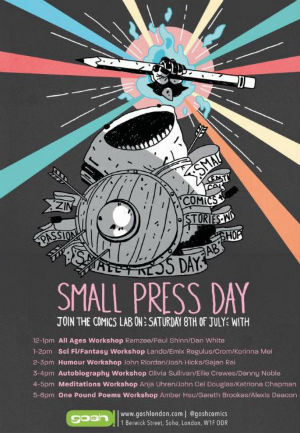 SMALL PRESS DAY IS COMING! A dedicated showcase collection of work for newer artists on the small press circuit is a vital step in building up a profile and creating a potential buzz about your work. 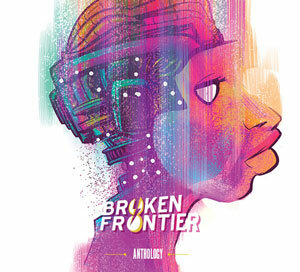 In the case of our 2017 Broken Frontier ‘Six Small Press Creators to Watch‘ artist Josh Hicks that spotlight on his work has been provided by UK micropublisher Good Comics. 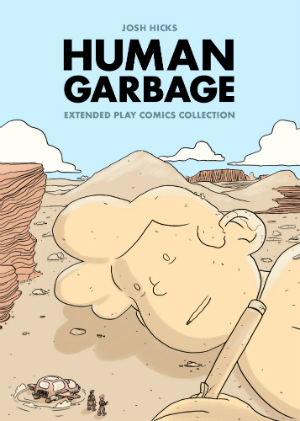 The micropublisher have compiled a number of his minicomics and anthology contributions as Human Garbage (also subtitled as an ‘Extended Play Comics Collection’). 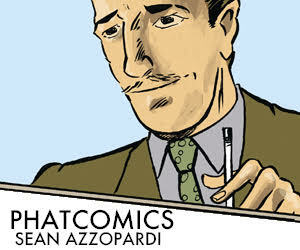 Human Garbage begins with a neat spot of meta self-referentiality as a scene with a conference of comic enthusiasts of the future dissecting the importance of this worthy tome is contrasted with its creator’s more down-to-earth assessment of its contents in the current day. It’s a witty start to Hicks’s extensively recoloured work in these pages which underlines his versatility, ranging as it does from slice-of-life to crime noir to science fiction. That sense of diversity, however, isn’t merely limited to genre. 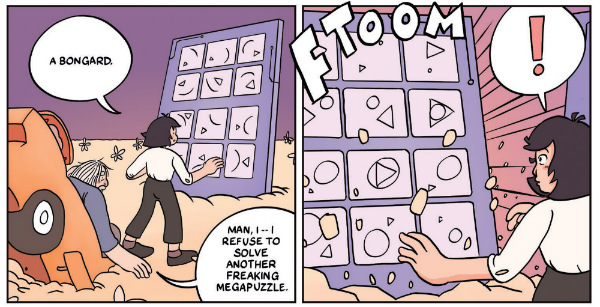 Hicks has an instantly engaging cartooning style that is elegant in its accessibility but subtly shifts to suit the content of each short. 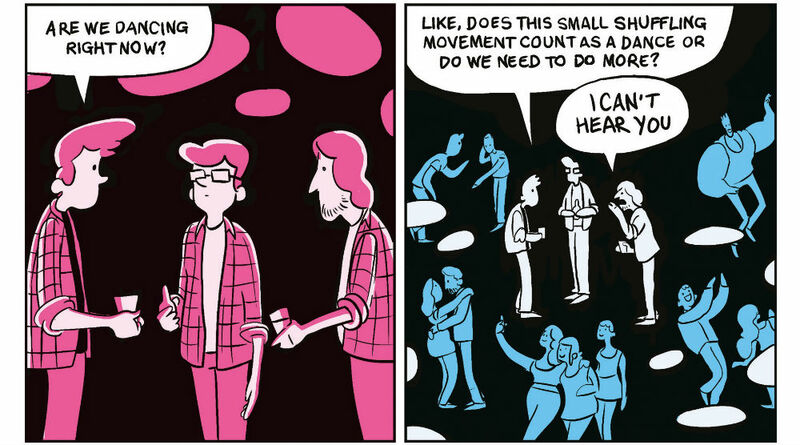 Anyone who has ever endured the awkwardness of nightclub etiquette and puzzled at exactly what the allure of a social arena where basic social interaction (beyond the obvious) is actually impossible will nod in sage agreement at Hicks’s main opening story ‘Club’ (top banner image) which ably uses comics’ time-shifting storytelling tricks to evoke the interminable ordeal of feeling isolated in an environment wherein everyone else appears to be having fun. The next story – ‘The Case of the Black Cat’ (below) – takes the reader in another direction altogether, bringing intense yellow and black colouring to the table in its tale of a private investigator and the femme fatale who hires him. Cutaway visual techniques implant the detective’s notes and thoughts onto the main action giving an added sense of the procedural to the sinister proceedings with a feline subplot adding a vein of black humour to the proceedings. Seeing some of the work in Human Garbage in colour for the first time is intriguing in consideration, posing the question of whether it changes the reader’s interaction with the page at all. The violent visual slapstick of ‘Maladroit’ (which first appeared in Dirty Rotten Comics) perhaps becomes a little too busy in colour, although Hicks’s comic pacing and sequential dexterity remains undiminished. 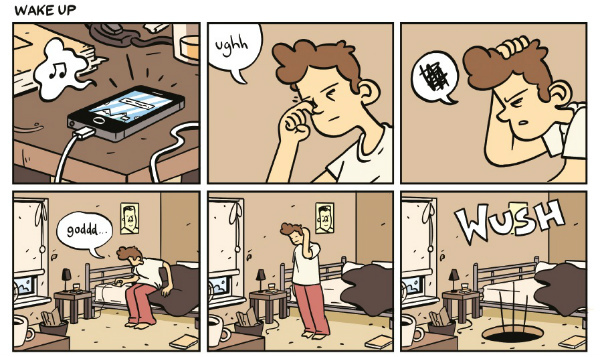 ‘Body Conscious’ is another slice-of-life story I wrote about when I reviewed Off Life #10 last year and said of it then that “Josh Hicks traces his failing body’s deterioration with a self-deprecating, hypochondriac wink to the reader utilising humorous cutaways and cartooning clarity that turns self-pity into something oddly rather endearing.” Again it’s indicative of Hicks’s ability to turn his hand to a wide array of subject matter. The two final stories display Hicks using panel to panel pacing to very different effects. In ‘Waste’, a post-apocalyptic piece of dark comedy he gives us a meditative odyssey with a dash of social commentary thrown in, which fosters an illusion of a vaster passage of time progressing. The final two-pager ‘Wake Up’ (below) is a helter skelter, cyclical piece of dream logic with its multiple panels in rapid succession giving a feeling of inescapable entrapment. Josh is another creator taking part in one of the many events over the UK and Ireland on Saturday July 8th for Small Press Day. If you want to pick up a copy of Human Garbage and meet the man in person get down to London’s Gosh! Comics on the day. Alongside his Glorious Wrestling Alliance comics Human Garbage is the perfect showcase for this versatile new artist’s craft and imagination. For more on the work of Josh Hicks visit his site here and follow him on Twitter here. You can visit his online store here. You can order Human Garbage online from Good Comics here. Josh will be a guest at Gosh! Comics on Small Press Day. More details here.